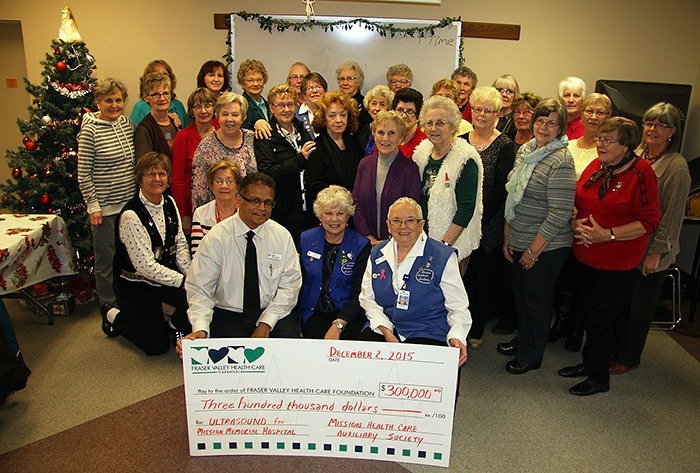 It is the second such pledge from the auxiliary, whose mandate is to support MMH through their volunteer efforts and fundraising. The Mission Health Care Auxiliary Society has pledged $300,000 for a new ultrasound unit for Mission Memorial Hospital (MMH). Three years ago, they pledged $300,000 to support the Fraser Valley Health Care Foundation’s fundraising campaign for The Residence in Mission, the new residential facility adjacent to the hospital. That pledge was fulfilled ahead of schedule, so the auxiliary went in search of the next big need at the hospital.